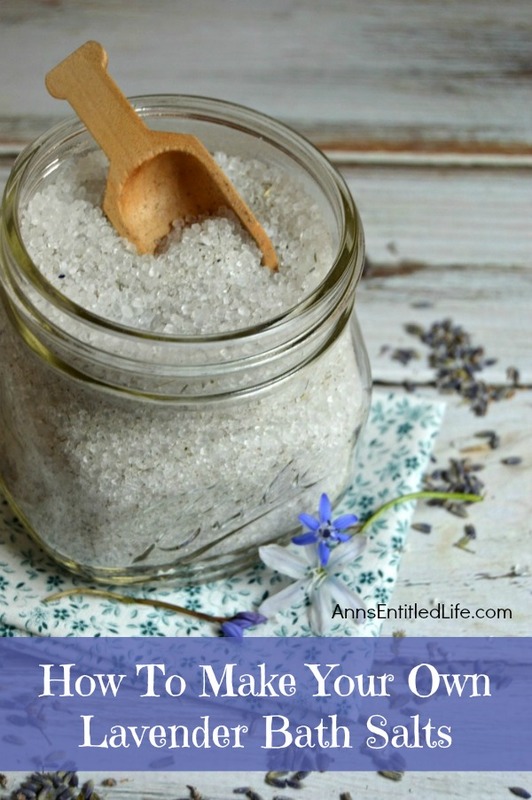 Here’s a simple recipe for making your own lavender bath salts! 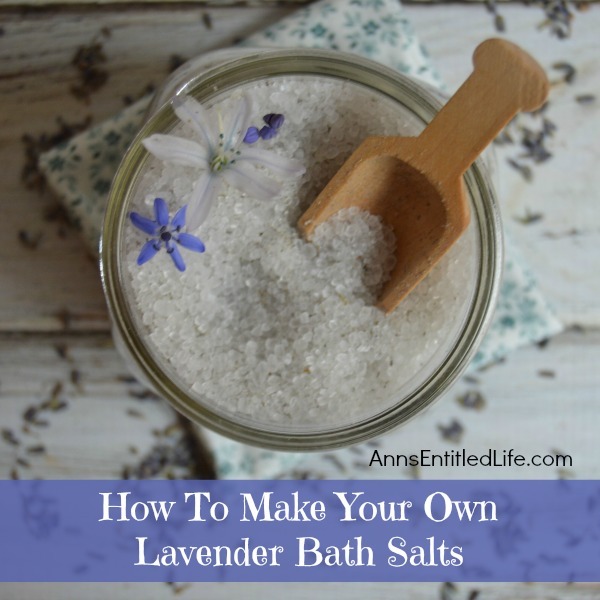 Keep your Lavender bath salts for yourself, or give them away as gifts or shower favors. This is a wonderful and easy way to indulge in a long, soothing, scented luxurious bath. • Pour two cups of Epsom Salt into a large bowl. • Grind Lavender Flower Buds. A coffee grinder works great, but if you don’t have one, you can use a food processor. 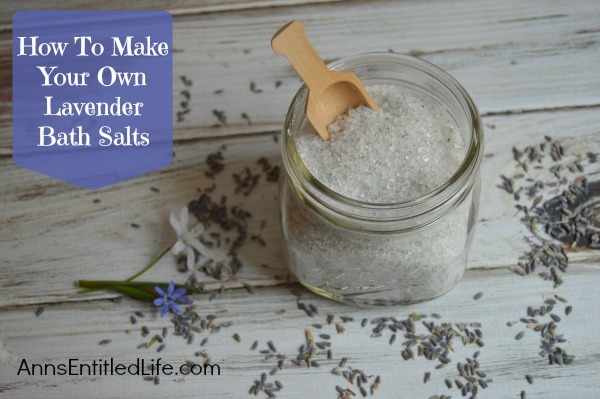 • Add ground lavender to the Epsom salts and mix to combine. • If giving as a gift, label the container with product name, ingredients, and directions for use. 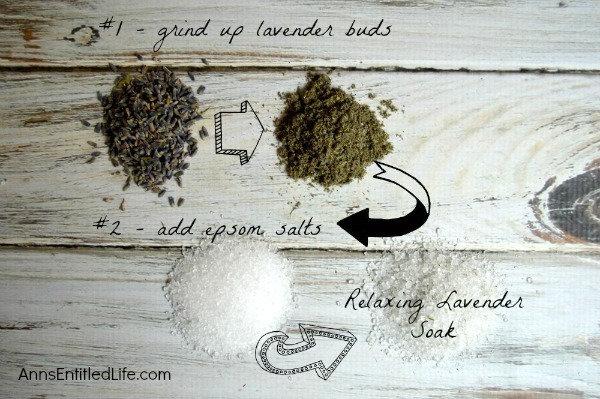 • Add a half a cup of Lavender Bath Soak to your bath water. Allow to dissolve. • Make Your Own Lavender Bath Bombs – Make bath and shower time fabulous and sweet smelling with these easy to make, pretty little DIY Lavender Bath Bombs. • Homemade Orange Lavender Lotion Recipe – How to make a simple, luxurious Orange Lavender Lotion with step by step instructions. Try this rich and creamy homemade orange lavender lotion today! 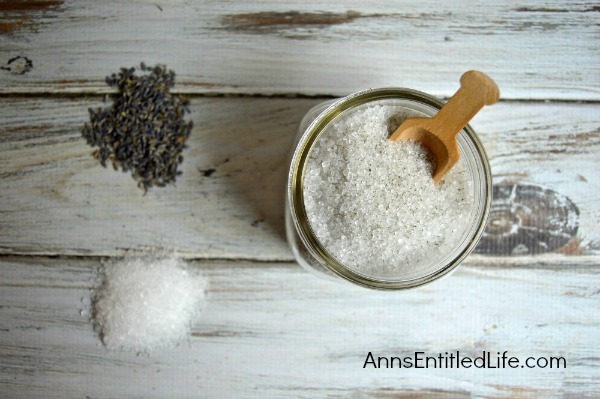 Do you have a lavender bath salt recipe you’d like to share?